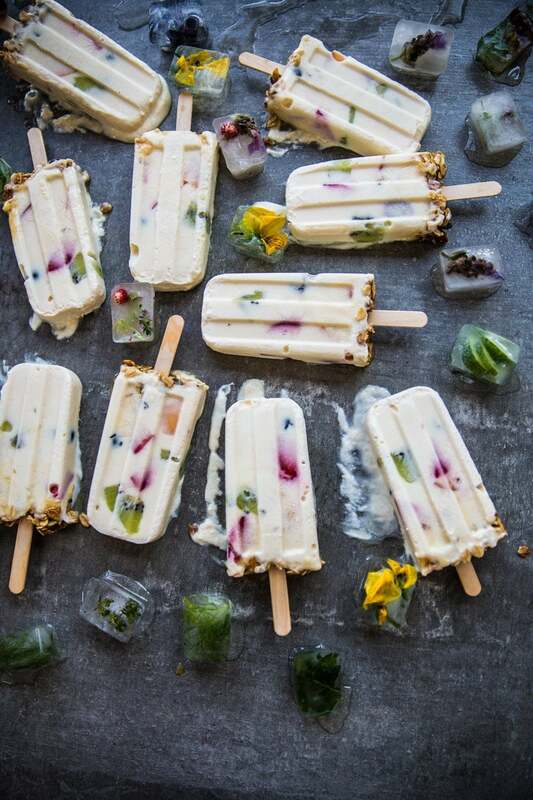 When I made these gorgeous yoghurt, granola and honey popsicles for my Summer Food Photography And Styling Workshop last year and posted the picture on my Instagram, little did I know that it would become my most popular post with thousands of views and hundreds of emails and messages asking me for the recipe. Now, I have always made these ad-hoc, without a recipe and only using yoghurt as my blank canvas while painting a dish of vibrant colour and texture using the season’s best fruit and whatever resides in my granola jar. I deemed that when so many of you asked for the recipe, it deserved to be recorded here on the blog. Many of you always ask about the popsicle moulds, I bought them on Amazon. It is a very straightforward recipe. The inspiration of this popsicle comes from my breakfast bowl on most days. I usually always have a big jar of homemade granola on hand ( to my utter horror, I have realised that I haven’t shared a single of my granola recipes here on the blog! Something on my to-do list now.). So breakfast is often a big serving of homemade granola, topped with (now) homemade yoghurt and one of the fifteen different honey varieties that grace a corner of my pantry (I love the floral Pohutakawa and Manuka honey, if you were curious). And this popsicle is an ode to that daily breakfast, good quality thick Greek yoghurt, some crunchy granola and a dollop of good honey with a smattering of colourful chopped fruit. Real simple, real nourishing, real delicious! 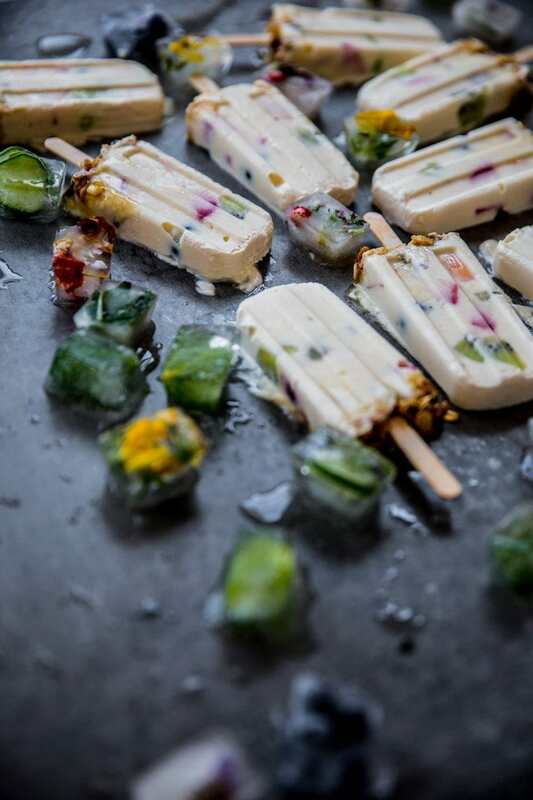 Yoghurt Granola And Honey Popsicles are a gorgeous take on the immensely popular breakfast choice of granola and yoghurt topped with honey. Pretty as a picture and delicious to boot, these are the perfect healthy summer time party treat. Place yoghurt, maple syrup and vanilla in the jug of a blender. Blend for a few seconds until smooth. Assemble your fruit, granola and honey. Start by pouring a bit of the yoghurt mixture into popsicle moulds, each about one thirds full. Drop in a mix of the fruit randomly (4 pieces). Top with another quantity of the yoghurt mixture, just enough to cover the fruit. Add more fruit (4-5 pieces). Top with more yoghurt mixture until half a centimetre short of the fill line. 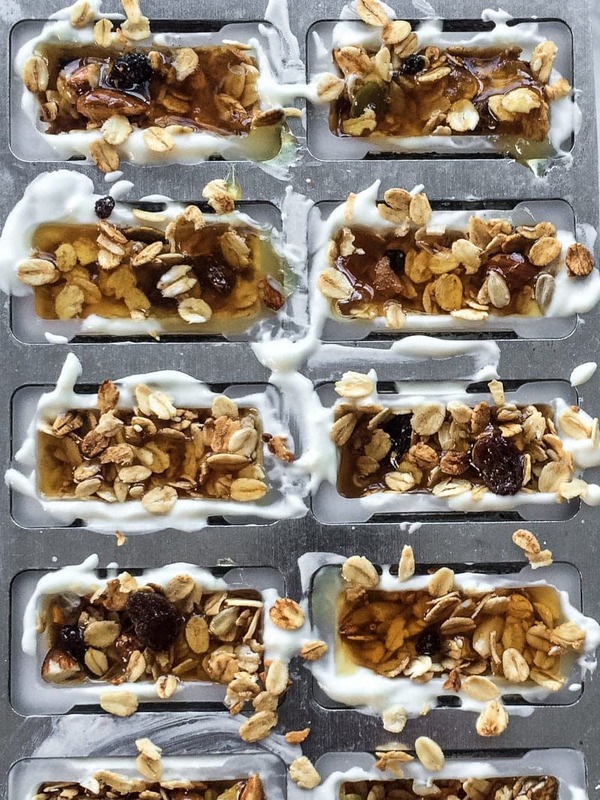 Spoon granola over the yoghurt in each popsicle mould up till the fill line. Drizzle each mould with the honey, covering all of the granola. Insert popsicle sticks carefully into the mould, taking care to not disturb the layers too much. Cover with a lid (if your pop mould comes with a lid). Place in the freezer for at least 6 hours before serving. To serve, remove popsicle moulds from the freezer. Run warm to hot water briefly (few seconds only) over the outside of the popsicle moulds to loosen the popsicle. Holding the popsicle stick firmly, slowly un mould the popsicle and enjoy. Cheers Di! The tart and sweet flavours come together really well. Why so much mango? Do we really need 150? These look delicious! Cannot wait to try. Love all the textures in this popsicle… and what a great way to reinvent breakfast! 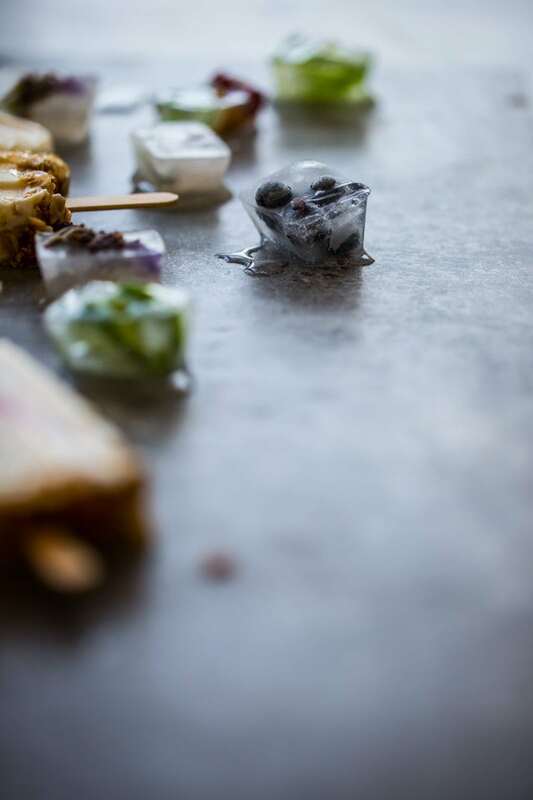 This is just great and the frozen flowers and fruit in the ice cubes is just stunning. I remember this picture on Instagram and I too was really impressed. Such a lovely idea and captured so well. 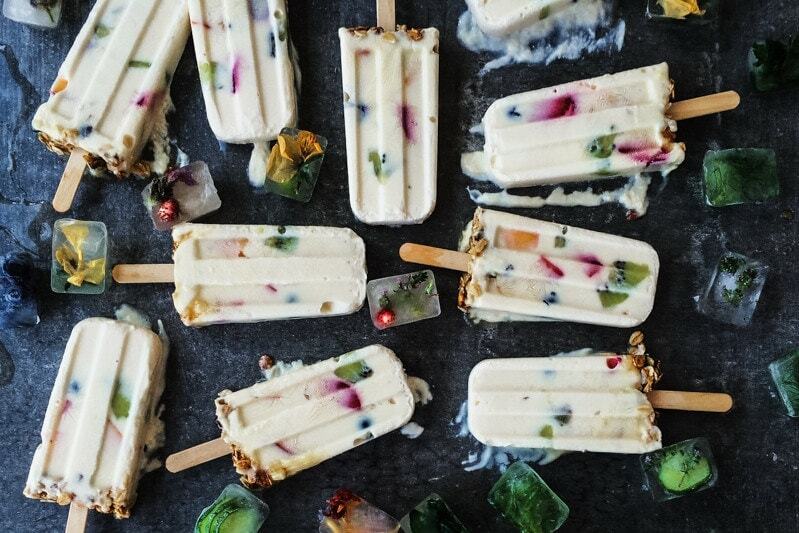 Gorgeous pops, I know I’d eat these for breakfast all summer long! What an awesome treat for the kids. They won’t even know they’re healthy!